Toast bread on tawa or grill pan. keep aside. Take one bowl, add potatoes, sprouts ,salt, chat masala, onions and mix well. Take serving plate, arrange bread toast. apply potato mixture, put one drop of green chutney, one drop on dates and tamarind chutney. sprinkle nylon sev and garnish with coriander leaves. Serve immediately otherwise bread become soggy . Yum Riddhi. Very well done. Could u please share dates n tamarind chutney recipe. Would really appreciate it. Hi Devi.. Thank you so much. i put link of Dates and tamarind chutney. 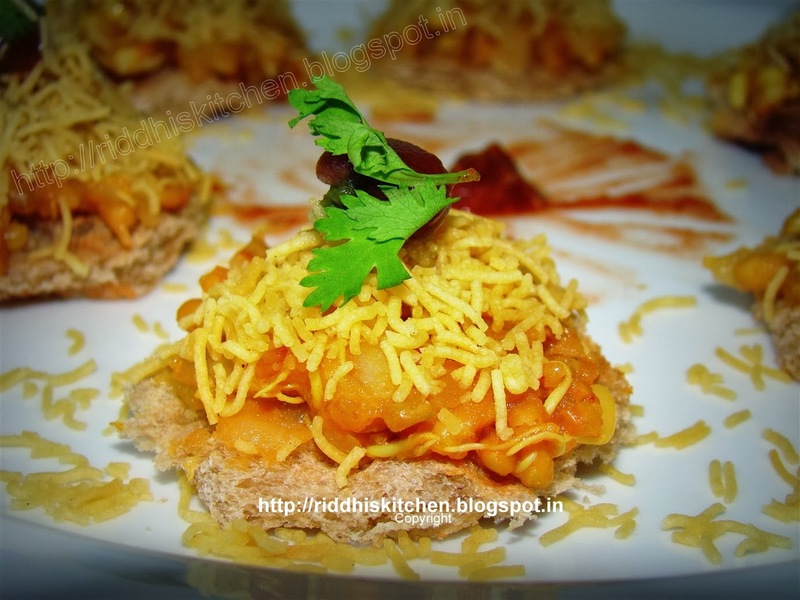 check out recipe of "Sprouts Sev Canapes". Click on that link.